This cool axe is the Epiphone Snow falcon Flying V, Brendan Small Signature Guitar . I’m a sucker for white guitars so this one is right up my alley. They call this finish “Snow Burst” 👍🏼, also has Gibson Burstbuckers which is always a plus in my book. Leslie (my Gibson Les Paul) has them and i have to say, those pickups are my favorite set, passive, high output and bassy as hell in the neck position 😍. This guitar has a kill switch and coil splitting 😒 , not a fan personally but thats just my opinion, what do i know right? Feel free to comment below peeps, id like to hear about your experience with this guitar or your opinion about this instrument… 🤘🏼 rock on! Thank you for visiting my site, I created it to show people my work. I don’t know if anyone really cares but if you are reading this, and you do care, thank you. I was born here but I was raised in South America, I moved back to the states when I got out of high school. I have always love guitars and played in a lot of bands. In 2012 I wanted to learn more about guitars, so I enrolled in the Guitar Craft program at MI (Musicians Institute) in Hollywood,CA. Graduated the same year and I got a job at Fender in Corona. I worked in final assembly where I was building the American made line of guitars and basses. 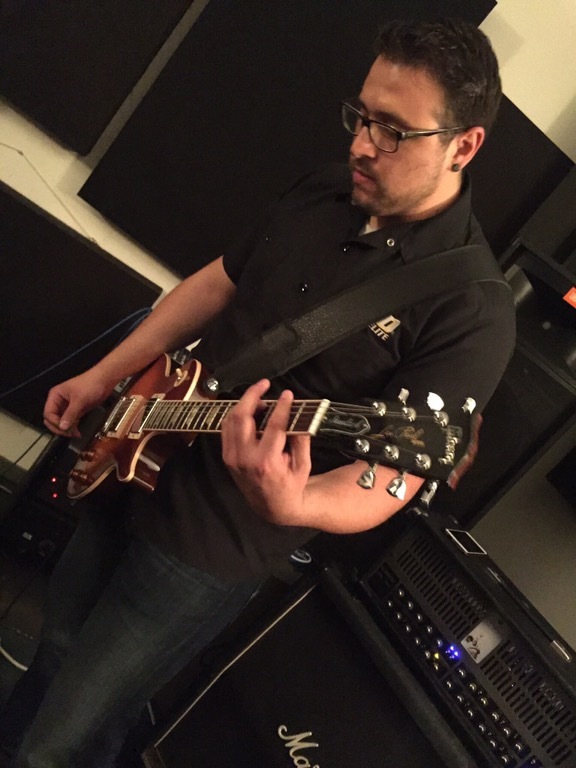 After a year I left Fender to work as a QC Tech at ESP Guitars in North Hollywood. A year later I got promoted to the Warranty Department, Bbut eventually I would make my way into Repairs. Left ESP in March of this year to pursue my dream of having my own guitar shop. You are witnessing the first step towards that.